Mariam Nov 12 2017 12:28 am Writernim you are the best I enjoyed the king loves And Healer Is also part of my favourite The king loves was a master piece, everything about the story, it was different and unique from other dramas. It has a touch of reality. It was bitter sweet. FIGHTING! !!! Ieyna Aug 18 2016 12:54 am Dear writer-nim,please write another great drama. If not this year,make it the next year. I really love your Faith and Healer. That was really a masterpiece!! Tiana Nov 21 2015 10:47 pm You should really write another season for Healer!!!!! I loved that show so much!!! I really liked how you wrote it!!! Please write another season!!!!! With the same characters and actors would be awesome!!! Highly appreciate and praise you madam, keep it up!! Lola Jun 23 2015 9:51 am Looking at the trend of her dramas it usually takes he about 2-2.5 years for a new project i loved faith and there is a lot of positive comments on healer i love her writing so much so in next 2-2.5 years so 2017-1018 we might see a new drama written by her i love all the people that she has castes in so far can u please cast hyun bin with eun hye or song ji hyo because ur style has some action thril in it and hyun bin didnt do action projects so far except his latest movie the fatal encounter i would like to see him in a new drama soon thats historical even if its not historical i wanna see him in action drama soon so bad!! I miss him from now!! It will be epic with eun hye or jihyo i cant wait to see them together one day! Honestina Jun 12 2015 4:57 pm I have been watching korea drama but never comment for one, not that they're not good, but I have not watched the one that has torched me so deep down my soul. Ma'am you are inspiration, you're the frame that will shine, you're best. Please do not stop. Write more, I wish u more success. You fan 4rm Nigeria(african) I Love that song Eternal LOVE. Sarah Jun 04 2015 8:05 pm Healer and Faith, were two of the best drama I have ever watched. I would like to watch more of your work in the future!! Dr. Teresa Mar 18 2015 12:45 pm Absolutely, hands down some of the best drama writing. Healer and Faith, both leave memorable imprints in our hearts and minds. I am professor of drama in the U.S. I am also an avid Korean drama viewer. Really fine work. Other than great plots, charismatic characters, and suspense, I really appreciate the production values. Each scene can stand out as picture-perfect. Visually, these productions are a feast for the eyes. I am looking forward to seeing your next work! Applause for the writer! Rosiana Mar 17 2015 6:48 am It's hard to move on from Healer. All drama after this one are just average for me. Healer is the most perfect drama i've ever seen. The music, story line, all the cast, directing, all of them make this drama become the best. Now i dont think i can find another drama that can replace Healer from my head. As many of fans for this drama, surely i hope another seasson, even the possibility almost none. But, please, consider to make it happen, please. I know the big problem is always about the ratings, that's why i felt betrayed by it, but perhaps it will be different for sesson two because the critical respons for this first sesson, all the world seems gave more respect for this drama than the korean citizen itself. So please, make our hope happen...Thanks a lot Miss Song Ji-Na, for make this amazing work, i really adore you. Keep fighting, and please make seasson 2 for Healer. Lily83 Mar 10 2015 8:36 pm Ms. Song Ji Na, I watched 2 of your dramas Faith & Healer. For me, you always able to create such a lovely sweet romance that make me still thinking about the couples many days after finishing the drama. I have just watched Healer and until today I'm keep thinking about that couple, I believe it's due to the great chemistry of the casts and your writing. During that Faith day, I thought it was because Lee Min Ho that make really obsessed with their romance. For the case of Healer, I don't even know Ji Chang Wook before but I I'm still hooked, so it's really powerful writing of romance story. dora Feb 24 2015 6:01 am Ah, Healer and Faith are memorable dramas. I keep waiting for your next project, Madam. You are really great writer. Thank you for your hard work, i enjoy it. Cess (@chinita18) Feb 10 2015 8:55 pm Thank you so much for sharing your talent and for giving us a wonderful drama in Healer. I've never been this excited, happy and sad at the same time in a drama. You did an amazing job. I could never thank you enough. You have a wonderful gift, please keep writing wondering stories. 감사합니다! Margaret Feb 06 2015 8:40 am Thank you so much for sharing your gift for storytelling to the world. I have adored your dramas, Faith and am now just completely amazed and spellbound with Healer. I am looking forward to watching all of your works from the past and am will eagerly anticipate watching everything you compose in the future. Thank you again, your works are wonderful! Stellaa Jan 28 2015 11:17 pm Wow, Healer is amazing,thanks to this woman's writing. Best show in years. Martha Ann Jan 20 2015 9:11 am I have watched Faith which is really good and now another sterling masterpiece , Healer. Thank you for sharing your great talent to the world. I will look forward to your next project.Stay cool. I would like to congratulate you and all the cast of Faith/ The Great Doctor, for such a wonderfull performance. I have been working as an Art Director and Set Decorator on Feature Films for the past 25 years, and I am very impressed with the quality of all of the Departments. Camara, sets, wardrobe, makeup and acting. Above all, the script. It is not merely a commercial story, but one that has its lessons and teachings on love, respect, and loyalty. Something that is very hard to find in this world today. We work in a media where we have the possibility to send messages to the whole world. I think it is our duty to start doing this. I congradulate you on writing such a beautifull story. I hope some day I can come to Korea to visit a production. Runglapee Jan 05 2014 7:21 am I like Faith very much and would like to read this novel. I hope that there will be English version because I can't read Korean. In Thailand Thai people like Faith very much but in episode 24 I'm disappointed that there would be more romantic and sweet..
Shaun Dec 13 2013 11:55 pm Beautiful stories. I watched Faith and absolutely love Prince Deok Heung's Poem. I was wondering if you published this separately. Your writing is astounding. The mountain ends and the water swamps with no road left. But, the village of the blooming flower still exist. The mountain is high and the water is thick, as no road is left. Another village stands there where the willow tree sways and flowers bloom. I am one of the very faithful and loyal fan of your recent drama "Faith the great doctor" and I am sure this drama with the imja couple starred by Lee Min Ho and Kim Hae Sun, have shake every one who have seen this drama. Of course it is as big part of the actor and actress who are very match together no matter how the gap of their age are. As a fan, I would like to suggest if you could write the Faith 2, with the continue story of the two couple. We are eagerly looking forward to seeing it if you are going to continue them. emmageorge Mar 01 2013 9:42 pm Have not thank you for the wonderful script, thank you it's so addictive!!! liching Dec 25 2012 1:28 pm I find the storyline of Faith seems to have been plucked and then edited from the "Outlander" series of novels by Diana Gabaldon. Irj Dec 19 2012 5:34 pm I really love faith!! I want the English Version!!! PLEASE!! Serena M. Nov 09 2012 5:22 am Dear Song Ji Na-shi, with Faith you really stole my heart! 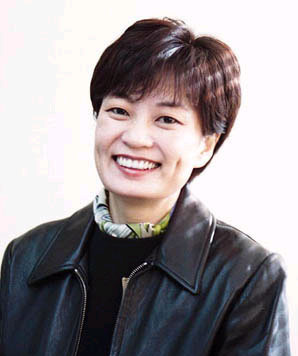 You are my favourite korean writer: kudos to your wit and to your sensibility! 감사합니다! Melody Sep 30 2012 8:10 am I love faith!!! Keep on writing!!!! hwaiting!! Mariana Baloeanu Apr 07 2012 6:41 pm Please, please, please ! The story of the First King’s Four Gods, season 2! You can do it! I know it can be done. So, hurry up! The king is waiting to be with his future family. I wish you good health, humor and finesse for screenplay. Mariana Baloeanu Apr 07 2012 6:39 pm Please, please, please ! The story of the First King's Four Gods, season 2!